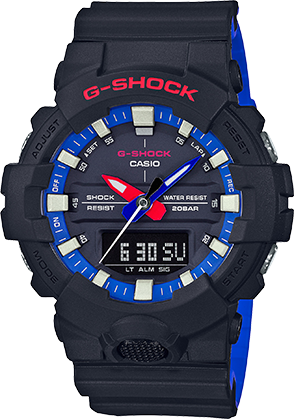 A new color edition to the GA800 series is based on the color pallet of sneakers that are very much a part of today's fashion trends.Blue, purple, and white base colors are contrasted by accent colors that recall the image of pop designs found on today's sneakers. 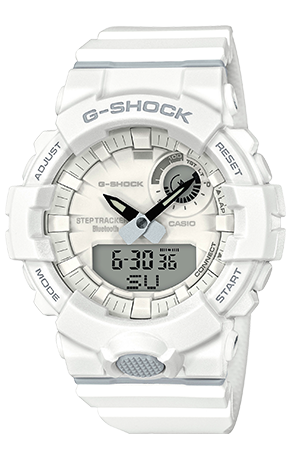 Sneaker like accent coloring is used for the front button, second hand, and face brand logo, as well as the overall color.This model combines a rugged design in a compact configuration. 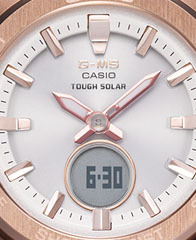 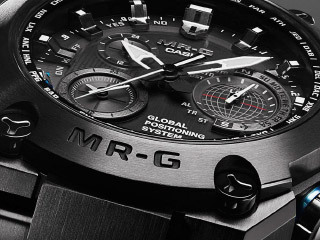 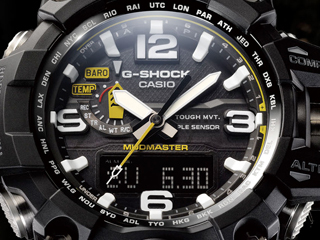 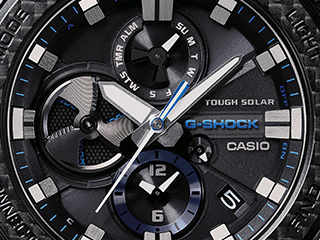 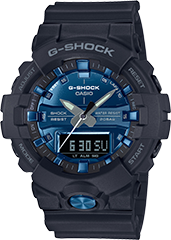 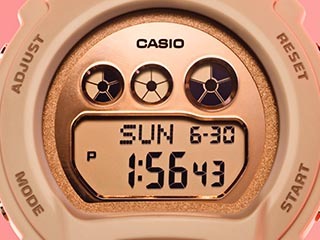 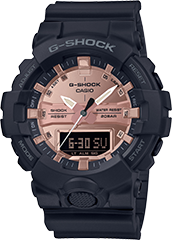 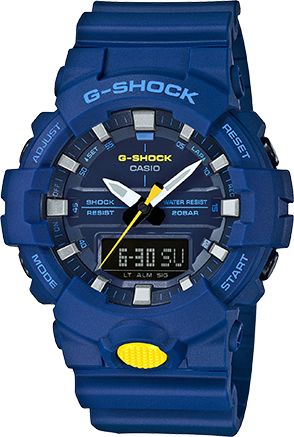 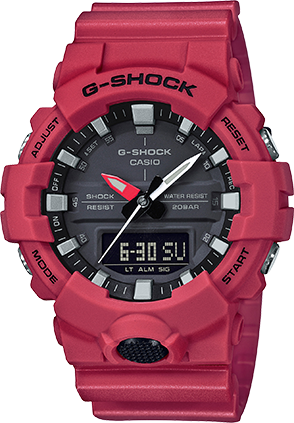 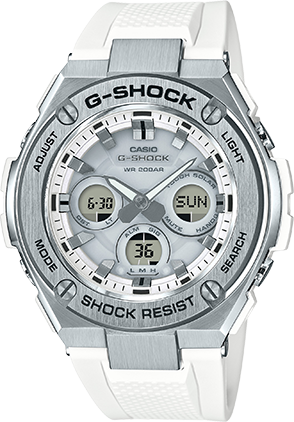 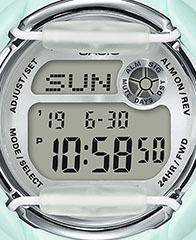 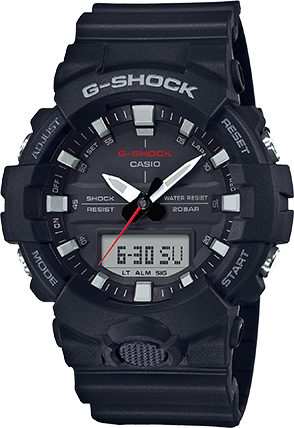 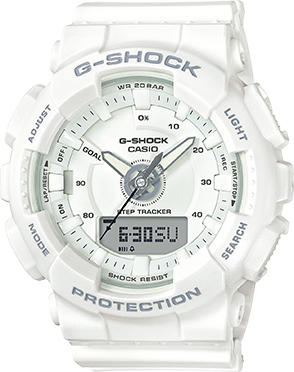 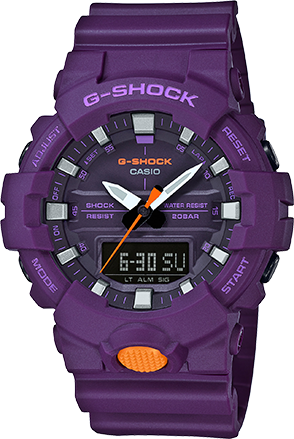 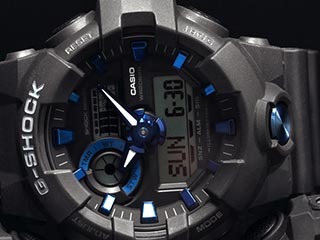 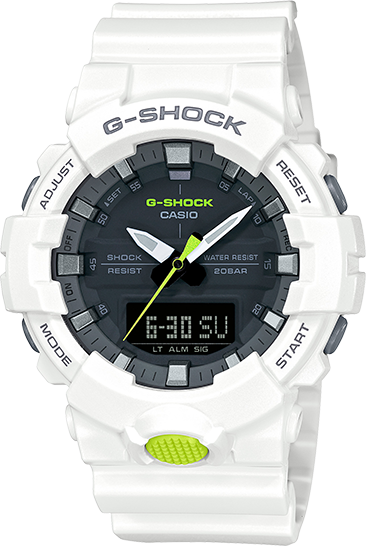 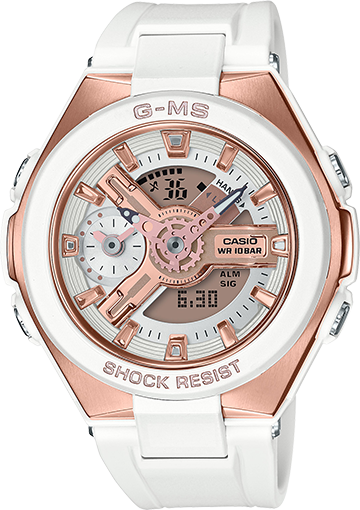 The GA-800 is an analog-digital combination timepiece that features an independently driven second hand and styling that allows enhanced readability.